Along with roll call votes, this week, the House also passed the Strengthening State and Local Cyber Crime Fighting Act, to authorize the National Computer Forensics Institute, and passed the Grassroots Rural and Small Community Water Systems Assistance Act, to amend the Safe Drinking Water Act to reauthorize technical assistance to small public water systems. BREAST CANCER STAMP: The House has passed the Breast Cancer Research Stamp Reauthorization Act, sponsored by Sen. Dianne Feinstein, D-California. The bill would reauthorize the Postal Service’s issuance of semipostal stamps, with proceeds from sale of the stamps dedicated to breast cancer research at the National Institutes of Health and Defense Department. The vote was 422 yeas to 1 nay. Both Reps. Chellie Pingree, D-1st District, and Bruce Poliquin, R-2nd District, were among the yeas. AUTHORIZING INTELLIGENCE SPENDING: The House has passed the Intelligence Authorization Act, sponsored by Rep. Devin Nunes, R-California. The bill would authorize fiscal 2016 spending by the CIA, National Security Agency and other intelligence agencies, including both classified and unclassified activity. The vote was 364 yeas to 58 nays. Pingree gave a nay vote, and Poliquin gave a yea vote. POWER PLANT CARBON DIOXIDE EMISSIONS: The House has passed a resolution, sponsored by Sen. Shelley Moore Capito, R-West Virginia, to express congressional disapproval of an Environmental Protection Agency rule restricting carbon dioxide emissions from existing power plants and void the rule. A supporter, Rep. Pete Olson, R-Texas, said the EPA’s rule violated the Clean Air Act and would increase the cost of electricity significantly, while having an uncertain impact on climate change. The vote was 242 yeas to 180 nays. Pingree gave a nay vote, and Poliquin gave a yea vote. ELECTRICITY AND GREENHOUSE GAS EMISSIONS: The House has passed a resolution, sponsored by Senate Majority Leader Mitch McConnell, R-Kentucky, to express congressional disapproval of an Environmental Protection Agency rule restricting greenhouse gas emissions from new and renovated power plants, and void the rule. A supporter, Rep. Markwayne Mullin, R-Oklahoma, said the rule sought to have the federal government usurp state authority over the power industry, and it would “put the reliability of our electric grid at risk” by cutting power generation capacity. A resolution opponent, Rep. Frank Pallone Jr., D-New Jersey, said that with the rule, the U.S. was “demonstrating that reducing pollution is consistent with maintaining a reliable, resilient electricity supply” and showing leadership on the global effort to combat climate change. The vote was 235 yeas to 188 nays. Pingree gave a nay vote, and Poliquin gave a yea vote. NEGOTIATING TRADE BILL: The House has agreed to a motion sponsored by Rep. Kevin Brady, R-Texas, to go to conference with the Senate to negotiate the two chambers’ versions of the Trade Facilitation and Trade Enforcement Act. The bill would promote fast-track consideration of trade agreements with Asian countries, automate the processing of certain trade documents by the Customs and Border Protection agency, and establish processes for investigating whether foreign countries are directly or indirectly manipulating their currency to subsidize their exports. Brady said the bill sought to improve the efficiency of processes for promoting U.S. trade with other countries, while avoiding a currency conflict with China that could prompt retaliatory measures hurting the U.S. economy. A motion opponent, Rep. Ann M. Kuster, D-New Hampshire, said the failure to adequately address currency manipulation could cost millions of U.S. jobs by allowing China and other countries to cut the price of their exports to the U.S. The vote was 252 yeas to 170 nays. Pingree gave a nay vote, and Poliquin gave a yea vote. REVIEWING CROSS-BORDER ENERGY PROJECTS: The House has passed an amendment sponsored by Rep. Gene Green, D-Texas, to the North American Energy Security and Infrastructure Act. The amendment would require the State Department, Federal Energy Regulatory Commission and Energy Department to work together to develop a more transparent and efficient process for reviewing proposals to build power transmission lines and water and energy pipelines to and from Canada and Mexico. Green said the reforms would replace presidential oversight of cross-border energy projects with a review process that increases regulatory certainty and coordination with Canada and Mexico on energy projects that could benefit all of North America. An amendment opponent, Rep. Frank Pallone Jr., D-New Jersey, said changing the review process would “eliminate any meaningful review of the environmental impact of large trans-boundary infrastructure projects,” with resulting risks for climate change and public health. The vote was 263 yeas to 158 nays. 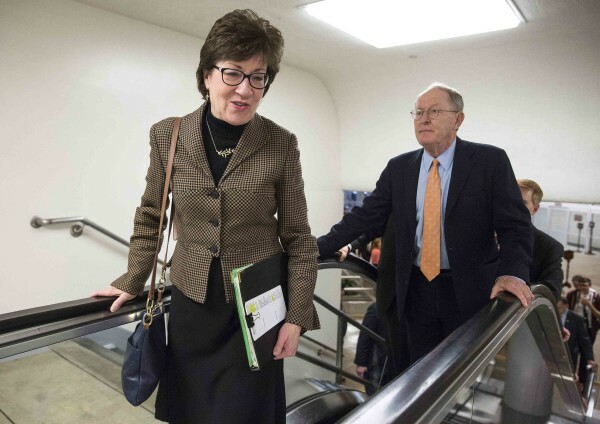 Pingree gave a nay vote, and Poliquin gave a yea vote. EDUCATION REFORM: The House has agreed to the conference report for the Every Student Succeeds Act, sponsored by Sen. Lamar Alexander, R-Tennessee. The bill would reauthorize the Elementary and Secondary Education Act and expand flexibility for states to develop their own education policies, including measurements of student, teacher and school performance. The vote was 359 yeas to 64 nays. 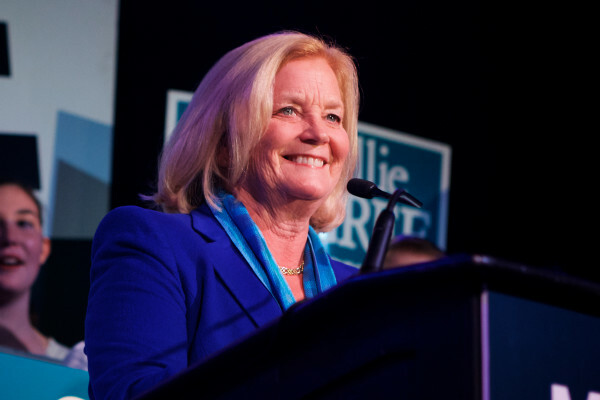 Both Pingree and Poliquin were among the yeas. REGULATING WOOD-BURNING HEATERS: The House has passed an amendment sponsored by Rep. David Rouzer, R-North Carolina, to the North American Energy Security and Infrastructure Act. The amendment would void an Environmental Protection Agency rule restricting emissions from new wood-burning heaters for residential use. Rouzer said cost increases resulting from the rule could make wood heaters unaffordable for households, especially those in rural areas who lack good alternatives to wood heat. The vote was 247 yeas to 177 nays. Both Pingree and Poliquin were among the yeas. ENERGY BILL: The House has passed the North American Energy Security and Infrastructure Act, sponsored by Rep. Fred Upton, R-Michigan. The bill would speed the permitting process for proposed natural gas pipelines and other energy infrastructure projects, repeal the ban on exports of crude oil, and require the Energy Department to study potential changes to the Strategic Petroleum Reserve program. Upton said improving the permitting process would make it easier to expand the nation’s energy infrastructure to adapt to changing supply and consumption, without sacrificing environmental and safety concerns. The vote was 249 yeas to 174 nays. Pingree gave a nay vote, and Poliquin gave a yea vote. FINALIZING HIGHWAY BILL: The House has agreed to the conference report for the Fixing America’s Surface Transportation Act, sponsored by Rep. Rodney Davis, R-Illinois. The bill would authorize the federal highway program through fiscal 2021, with an increase in funding for bridge repairs, and authorize a grant program for funding major new transportation projects. Davis called the bill a bipartisan agreement to work on rebuilding the country’s crumbling infrastructure by repairing and upgrading roads and bridges. The vote was 359 yeas to 65 nays. 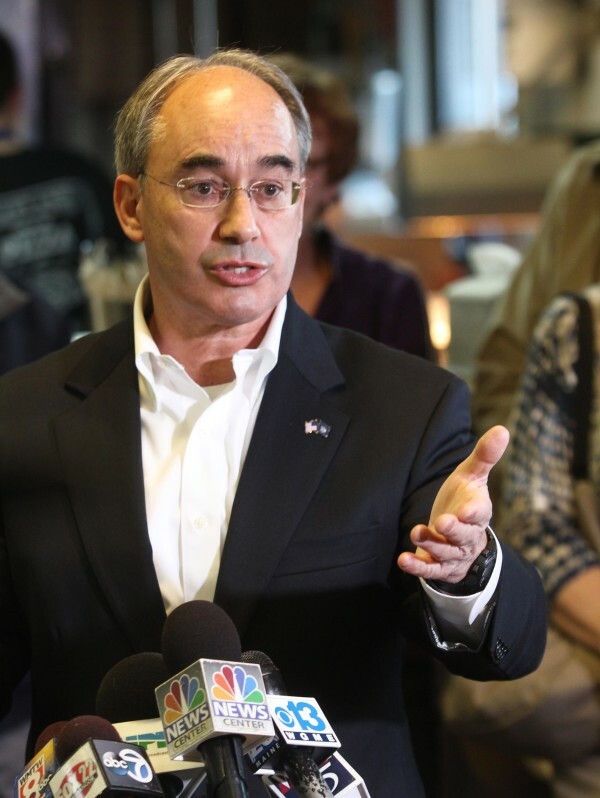 Both Pingree and Poliquin were among the yeas. INTERNATIONAL DEVELOPMENT ADMINISTRATOR: The Senate has confirmed the nomination of Gayle Smith to serve as administrator of the U.S. Agency for International Development. Smith, an aide to President Barack Obama’s administration and a senior director at the National Security Council, previously served in President Bill Clinton’s administration and as an aid official in Africa. A supporter, Sen. Benjamin L. Cardin, D-Maryland, said Smith’s broad experience in international development assistance during a long career in the Foreign Service made her well-suited to ensuring the U.S. maintains a strong position in providing humanitarian and development aid to countries in need. The vote was 79 yeas to 7 nays. Both Sens. 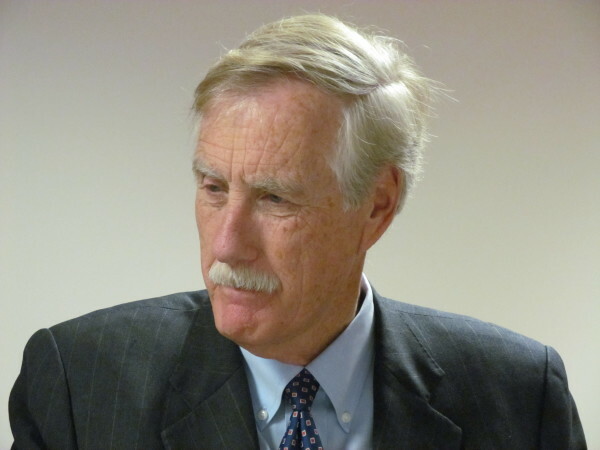 Susan Collins, R-Maine, and Angus King, I-Maine, were among the yeas. TAX ON EMPLOYER HEALTH CARE PLANS: The Senate has passed an amendment sponsored by Sen. Dean Heller, R-Nevada, to the Restoring Americans’ Healthcare Freedom Reconciliation Act. The amendment would block the reinstatement of a tax on Cadillac employer health insurance plans that provide generous coverage and benefits to employees. Heller said the measure had broad support as a way to cut health care costs for employees with high medical expenses. The vote was 90 yeas to 10 nays. Both Collins and King were among the yeas. SUSPECTED TERRORISTS AND GUNS: The Senate has rejected a motion to waive a budgetary point of order against an amendment sponsored by Sen. Dianne Feinstein, D-California, to the Restoring Americans’ Healthcare Freedom Reconciliation Act. The amendment would have authorized the U.S. attorney general to bar individuals who are known or suspected terrorists from obtaining guns or explosives. Feinstein said ensuring that people on the country’s terrorist watch lists cannot obtain weapons would help secure public safety. An amendment opponent, Sen. John Cornyn, R-Texas, said it would authorize the government to deny Americans the right to bear arms without any judicial process. The vote was 45 yeas to 54 nays. Collins gave a nay vote, and King gave a yea vote. CLOSING GUN SHOW LOOPHOLE: The Senate has rejected a motion to waive a budgetary point of order against an amendment sponsored by Sen. Joe Manchin, D-West Virginia, to the Restoring Americans’ Healthcare Freedom Reconciliation Act. The amendment would have expanded mandatory background checks for gun sales to private party sales at gun shows and other venues. Manchin said closing the gun show loophole would remove the danger of criminals and mentally ill individuals buying guns without a background check. The vote was 48 yeas to 50 nays. Both Collins and King were among the yeas. SENIORS AND HEALTH CARE TAXES: The Senate has passed an amendment sponsored by Sen. Daniel Coats, R-Indiana, to the Restoring Americans’ Healthcare Freedom Reconciliation Act. The amendment would extend for seven years a provision allowing taxpayers at least 65 years of age to deduct medical care expenses amounting to at least 7.5 percent of their gross income from their income taxes. Coats said the 7.5 percent deduction would help low-income and middle-income seniors who face growing medical expenses. The vote was 60 yeas to 39 nays. Both Collins and King were among the yeas. REPEALING OBAMACARE PROVISIONS: The Senate has passed the Restoring Americans’ Healthcare Freedom Reconciliation Act, sponsored by Rep. Tom Price, R-Georgia. The bill would repeal the health care reform law’s medical device excise tax, repeal the employer health insurance mandate, repeal the individual health insurance mandate and block funding for Planned Parenthood. A supporter, Senate Majority Leader Mitch McConnell, R-Kentucky, said the health care reform law has pushed up health insurance and care costs without improving coverage. An opponent, Senate Minority Leader Harry Reid, D-Nevada, said the law has succeeded in cutting costs and expanding coverage, leading states around the country to use it to increase Medicare access for their citizens. The vote was 52 yeas to 47 nays. Both Collins and King were among the nays. APPROVING HIGHWAY BILL: The Senate has agreed to the conference report for the Fixing America’s Surface Transportation Act, sponsored by Rep. Rodney Davis, R-Illinois. The bill would authorize the federal highway program through fiscal 2021, with an increase in funding for bridge repairs, and authorize a grant program for funding major new transportation projects. A supporter, Sen. Benjamin L. Cardin, D-Maryland, said its provision of long-term funding would help public officials “plan transportation infrastructure projects in a thoughtful and responsible way,” including spending on public transit and other transportation alternatives. The vote was 83 yeas to 16 nays. Both Collins and King were among the yeas.